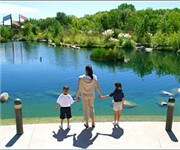 Our guide to Albuquerque will help you find the best kid friendly parks in Albuquerque New Mexico. At first glance, Albuquerque appears to be a typical Sun Belt city, stretching out more than 100 square mi with no grand design, architectural or otherwise, to hold it together. The city's growth pattern seems as free-spirited as all those hot-air balloons that take part in the Albuquerque International Balloon Fiesta every October. With a bit of exploration, however, this initial impression of an asphalt maze softens as you get a sense of Albuquerque's distinctive neighborhoods. The charms of Albuquerque may not jump out to greet you, but the blend of Spanish, Mexican, Native American, Anglo, and Asian influences makes this a vibrant multicultural metropolis well worth exploring. In fact, the city's most distinctive components -- first-rate museums and performing arts venues; well-preserved Spanish-colonial, Victorian, and art deco architecture; both sophisticated and funky restaurants and B&Bs; and offbeat shops and galleries -- measure up to those you'd find in most U.S. cities this size. You just have to persevere beyond the suburban sprawl and strip-mall excess to find all the good stuff. There are tons of great kid friendly parks in the city of Albuquerque, our city guide will help you find the best kid friendly parks. You may have a hard time deciding what to do in Albuquerque, but we make your decision easy. 10300 Chandler Dr NW - A small park with a playground. 10600 Osuna Rd NE - A 7-acre park with a few picnic tables, a playground, and playing fields. 10701 Benavides Rd SW - An 8-acre park with a playground, two unlit tennis courts, and a playing field. 10900 San Jacinto Ave NE, (505) 256-2091 - A 4-acre park with a playground, playing fields, basketball courts, picnic tables, shaded structures, and four unlit tennis courts. 11710 Comanche Rd NE - A 4-acre park with a playground and a playing field. 1200 Monte Verde Dr NE - A 5-acre park with a basketball court, a playground, and a playing field. 12910 Granite Ave NE - A 4-acre park with a a playground, athletic fields, basketball court, benches. 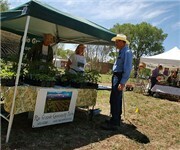 13000 Academy Rd NE, (505) 839-9035 - A 6-acre park with a playground. 13121 Skyview Ave NE - A 5-acre park with a playground, four unlit tennis courts, and a playing field. 1318 Edith Blvd SE - A small park with a playground and a playing field. 13205 San Juan Ave NE - A 4-acre park with a playground, a basketball court, some picnic tables, and a playing field. 1398 Coal Ave SE - The historic Roosevelt Park offers a lovely children's playground. 1400 Menaul Blvd NW - A 3-acre park with a few picnic tables, a playground, and a playing field. 1401 Matthew Ave NW, (505) 344-7240 - A 4-acre park with a playground and playing fields. 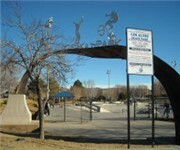 1512 Yale Blvd SE, (505) 343-8008 - A 13-acre park with a playground, a playing field, and the "Albuquerque Apparition" neon lights public art sculpture. 1701 Chandelle Loop NE - A 3-acre park with a playground. 1744 Kit Carson Ave SW - Kit Carson is a 9-acre park with a large picnic area, a playground, and playing fields. 1830 Williams St SE - A 4-acre park with a playground, a basketball court, and a playing field. 2000 Alvarado Dr NE - A 4-acre park with a few picnic tables, a playground,soccer fields, and playing fields. 207 Cromwell Ave SE - A small park with a playground and a playing field. 2200 Frederick Pl NW - A 1-acre park with two basketball courts and a playground. 2330 Via Madrid Dr NW - A 1-acre park with a playground. 2601 Conchas St NE - A 7-acre park with a playground and playing fields. 2720 Ladera Dr NW - A 4-acre park with a few picnic tables, a basketball court, a playground, and playing fields. There are plenty more kid friendly parks in Albuquerque. 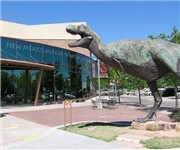 See all kid friendly parks in Albuquerque New Mexico.